April 3rd, 2018 is National Carers Day in Canada—and one in five Canadians have experience caring for someone living with Alzheimer’s disease or another form of dementia. One of these caregivers, Naomi Mison, resides in British Columbia. Her mother, Frances, lives with dementia. An advocate for dementia awareness, Naomi was one of the faces of Alzheimer’s Awareness Month this past January. 2017 was the tenth anniversary of my mother’s diagnosis of frontotemporal dementia. It was a particularly hard year for me in terms of caregiving. Even just filling out government paperwork was difficult. As my mother was set to turn 65, I was handling everything she needed to obtain her income benefits as a senior. Unfortunately, I encountered numerous bureaucratic barriers. For instance, I had decided to be proactive and submit my mother’s application for Old Age Security benefits ten months early. However, my guardianship document, the one that gave me Power of Attorney for my mother and allowed me to make these decisions on her behalf, was rejected for having a court stamp—such a small thing, and after some legal wrangling it turned out that my document was valid after all. On top of that, the paperwork ended up getting lost anyway, and to access my mother’s file I had to resubmit the legal documents all over again. 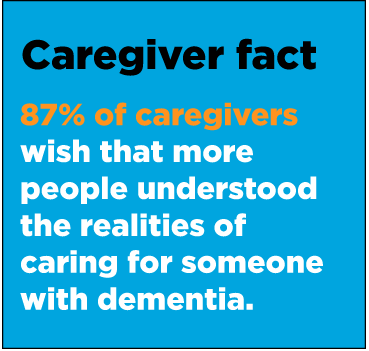 This is just one of the many challenges that caregivers such as myself can face. 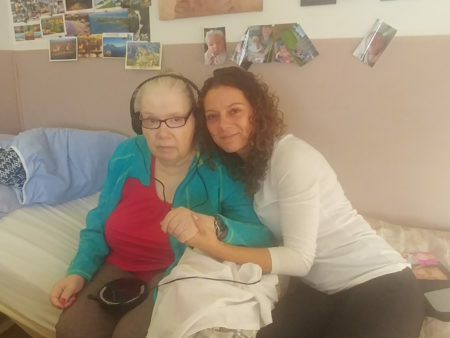 One day, while visiting my mother at her long-term continuing care home in Edmonton, I vented to a care aide and a member of the housekeeping department about the bureaucratic barriers I had been facing recently. My heart sank. When someone looks you straight in the eyes and apologizes, thinking that they are a burden…how can you continue to be upset? My response was simple. I asked my mother, “If it were me, would you do the same?” “Yes,” she replied. “Then there you go.” We both understood that we would be there for each other—no questions asked. Put yourself in their shoes. Picture how hard it must be to be unable to trust your own mind. The last thing anyone wants is to feel like a burden on others. People with dementia can still experience embarrassment, anxiety and pain just like everyone else. By being empathetic, you can help them avoid these negative feelings. Since there is still no treatment or cure, knowing your risk factors for dementia, and taking steps to reduce them, can be helpful. Not only will it help you understand and support the person you care for, you can take proactive steps about your own health and build awareness of dementia at the same time. Though you may be doing your best to live with dementia, you can still feel down. As a caregiver, you may try to bury tough feelings, like loss and grief. However, at some point, I think it’s crucial to address these feelings by admitting that they exist. If you don’t, then they may rise to the surface at the most unexpected times, like when I visited my mother. Being honest with yourself is tough, but critical. After acknowledging your feelings, you can then create an action plan to move forward, which may require some additional support. I had always been the strong one, trying never to ask for help from anyone. But, last year, I needed a mother figure more than ever before. For the first time since this journey began, all that I wanted was the love and comfort of my mother. I think that every person, caregiver or otherwise, feels this loneliness at times. But, I was not alone, and neither are you. There are resources available, and people who will listen, talk and share their experiences with you. 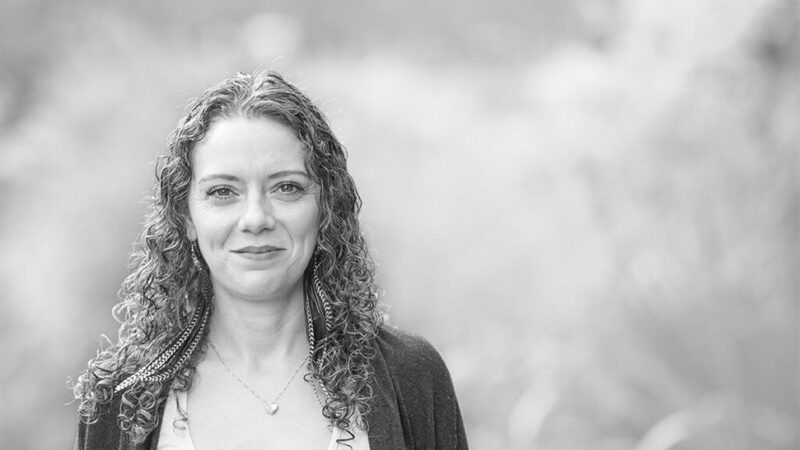 When I connected with these resources, I was also able to make strides towards a more authentic me. At the end of 2017, I made a big decision, and put myself out there—literally, as a face of a campaign for dementia awareness. By advocating for the cause, I felt that I was putting all of my years of hard work as a caregiver to use. If sharing my story impacts even one person, then it’s all worth it. Who knows, maybe they’ll want to share their story, too. 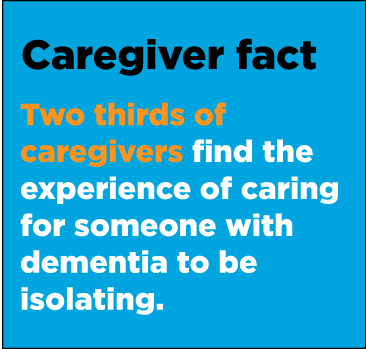 If you’re a caregiver, I encourage you to connect and have open conversations with people who may not be aware or understand this disease. Take action and be part of the solution, because you will not only help a cause that you’re invested in, but also yourself in the process. On National Carers Day, let’s remember that, as caregivers, we can only effectively care for others if we first care for ourselves. Self-care helps you be a better caregiver. I hope that the above points help make caregiving successful for you this year, just like they have been for me. Read more about Naomi and her experiences: Yes. I live with dementia. Let me help you understand. Learn more about our resources available to caregivers—visit the caregivers section of our website. 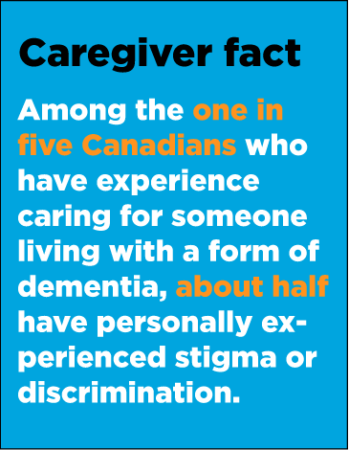 Source for caregiver facts: Dementia numbers in Canada: Stigma and dementia.